At some point, every business owner entertains the thought of expanding their business. However, it can be hard to know when to take on new orders, hire new employees, or if you should hold off and wait until your business is in a stronger position. If you have serious plans to expand your small business, answering the following questions will help you determine if you are ready to take the next step. The best place to start is to create a plan that outlines short and long-term goals, who you will need to hire and what costs you expect to incur during that period. Have you found and secured the necessary facilities? Have you set aside enough time and resources to train employees and prepare them for expansion? As you map out your strategy, think big. Prepare your team for a sudden surge in business and overnight success. Rather than running the risk of making spur-of-the-moment decisions, your strategy will help realign your priorities to fit what is best for your business. Having a solid, written plan will guide you through the early days of expansion. Is your team ready for new challenges? The foundation of any successful business endeavor is the dedicated, driven individuals that make it happen. When you think about what your business might look like five years from now, do you see yourself working with the same team? Are they ready for the new challenges involved in taking your business to the next level? If the answer is no, pinpoint the holes you need to fill and plan for making some strategic hires. If the answer is yes, you can focus on making sure everyone is on the same page in terms of where the business is going and the steps it will take to get there. When your team shares the same vision and core values, it makes expansion a much easier and straightforward process. Are you meeting your current goals? Even if your business is growing and has strong brand recognition, that does not necessarily mean the timing is right for expansion. 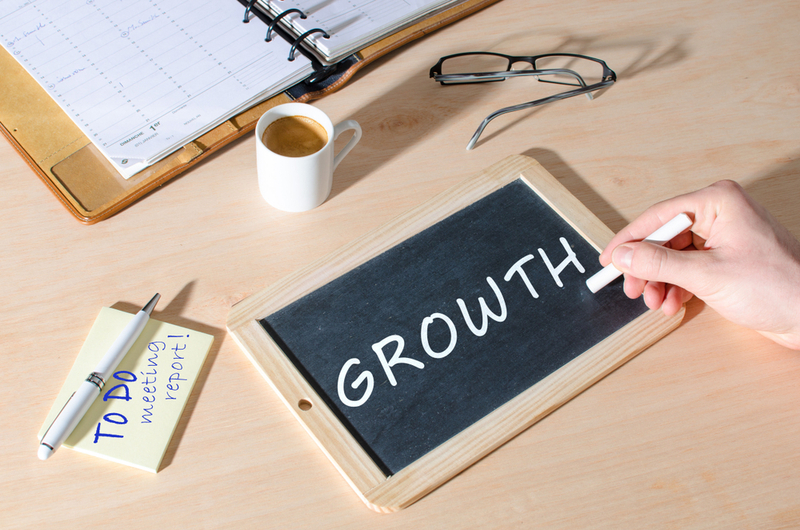 It is important that your business is growing according to your goals. While having a strategic roadmap is key, you must also be able to reach the milestones you have set along the way. Sustained business growth relies on the ability to define objectives that can be met in a timely fashion. If your small business is reaching or even surpassing your current goals, it could indicate that now is a great time to expand. Growth brings money into your business, but it also costs money. Especially during the initial stages, you should expect that business expansion will require a lot of cash. First, take a close look at your profit, existing working capital and cash flow. Then, realistically evaluate your revenues against the cost of expansion. Is your business in a position to grow without seeking investment from third parties, or do you need to seek additional funds? If you are ready to move forward and need to boost cash flow, consider alternative lending options like invoice factoring. Factoring receivables allows your business to use its unpaid invoices to quickly generate cash on hand – without taking on debt in the midst of expanding your business. Are you ready for additional costs? In addition to an increase in operating costs, you will also need to consider other expansion costs. Some expansions - depending on your business type and industry – will include one-time purchases like another location, new machinery and equipment. Between opening a new location, hiring and training extra staff to run that new location and purchasing equipment, you will have a stack of sizeable bills before you see money coming through the door. Is your business in a position that it can afford these additional costs? Again, this is where understanding your business’ cash flow and knowing when to seek extra capital is crucial. Maintaining sufficient cash flow will help you cover additional costs, avoid unnecessary debt and carry you through a successful expansion. Are you keeping up with customers’ requests? One of the biggest signs it is time to expand is when customer demand is exceeding your capacity. If you and your team are struggling to fulfill customers’ needs and expectations in a timely manner because you are always preoccupied with additional work, it is a good indicator that growth is warranted. It is also indicates that you have the word-of-mouth support and loyal customer base you need to confidently expand your operation. Encourage your customers to provide feedback, so your business can identify potential areas of growth and develop the services necessary to meet those needs. According to new data from Sageworks, a financial information company, services that support mining and oil or gas extraction represent the fastest-growing industry in the U.S. What does the current landscape of your industry look like? Are you just scratching the surface when it comes to opportunities? Is there projected growth for your industry that will lead to new customers and large orders? If you have little competition, a large, untapped customer base or massive industry growth and opportunities, it might be the perfect time to put your plan for growth into action. If your current projects are running smoothly, you are surpassing your goals and achieving steady growth, it is time to replicate the success. With the right plan and a strong team, expanding your small business is an attainable goal. If you need to boost your business’ cash flow to diversify services, invest in your business or hire additional staff, consider the benefits of using invoice factoring. Security Business Capital has built an experienced and dedicated team of individuals with years of experience in providing cash flow solutions that are both flexible and customizable. Oil and gas services, temp staffing, manufacturing/distribution and transportation are just a few of the business types that use Security Business Capitals’s invoice factoring services to generate cash on hand. To learn more about how our invoice factoring services work and how we can help your business expand, get in touch with us today for a free quote and/or consultation.